NEW DELHI: THE proposed Unique Identification Number could eventually become mandatory, as it may be required for making a passport, getting driving licence and opening a bank account. Though the 16-digit Unique Identification Number will not give citizenship rights, it will be used for identifying Indian citizens. At present, UID is completely voluntary, but it will become “pervasive and ubiquitous” later, Unique Identification Authority of India (UIDAI) chairman Nandan Nilekani was quoted as saying by a news agency. "When you have to get a passport, they will say where is your UID number, when you go to get a driving licence, they will say where is your UID number, when you go to tax authorities, they will say where is your UID number, you go to open a bank account, they will say where is your UID number. 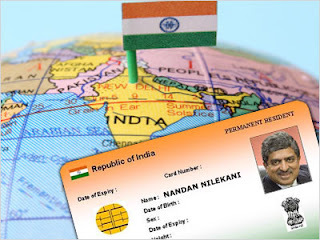 Sooner or later you will have to get your UID number,” Mr Nilekani said. All the mentioned documents will start displaying the UID number, he said. “It is not mandatory but more applications will make it a prerequisite. So sooner or later, your life becomes simpler if you have the number,” he said. Various agencies and ministries were prepared to partner with UIDAI and use the UID number in their database. Further, Mr Nilekani said by avoiding duplicate accounts, UID will help in checking black money and result in higher tax collections. “Once bank accounts start having UID, then you can’t keep unaccounted money in the banking system. UID will sort of act as a check on keeping black money and all that. It will also strengthen security,” he said. UID scheme may roll out the first number in 12-18 months and may cover 600 million people over the next four years. Mr Nilekani, who quit as cochairman of Infosys to undertake the project, had said that UID will give access to people who are “outside the system” , as there are millions of people in the country who are “non-persons” . The UID number, with a one-time registration fee of Rs 30-40 , can also be used for availing welfarescheme benefits. A centralised database, it will have basic demographic and biometric information about an individual. This will help even security agencies in accessing information under appropriate laws. While listing out benefits of the scheme, Mr Nilekani has cautioned about addressing the privacy issue. He had said that it was time for the country to evolve a “policy on privacy” after he was faced with questions about confidentiality of individual’s data.